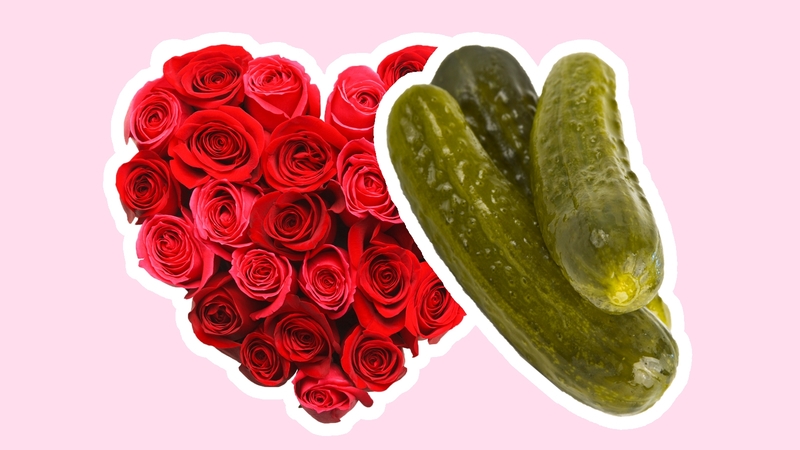 Forget flowers: This Valentine’s Day, send your loved one some pickles. 2018 was the year of the pickle, but it seems like pickles’ reign is extending into 2019. Today.com reported that Grillo’s Pickles, a Boston-based pickle company, is encouraging people to send pickle bouquets on February 14. They aren’t selling the bouquets — though perhaps they should — but instead telling customers to buy pickles and make their own. “Not only is a pickle bouquet more beautiful than a dozen red roses, and healthier than a standard box of chocolate, it’s also far more creative,” Grillo’s founder and CEO, Travis Grillo, explained. But we still have a lot of questions: Do you eat the bouquet? Do you leave it on your desk? Does it sit as a centerpiece in your kitchen? Why stop at pickles? Jewish food lovers might also fancy a bagel bouquet, or a pastrami rose bouquet, or how about a black and white cookie bouquet? We aren’t picky, we just want to eat something delicious in lieu of flowers, please.